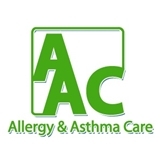 Allergy & Asthma Care (Meadowbrook) - Book Appointment Online! We specialize in the diagnosis and treatment of asthma and related pulmonary diseases, hay fever, sinus disease, headaches, food allergies, drug reactions, latex allergy, hives, stinging insect sensitivity, and immunologic disorders. To effectively manage the complex needs of patients with allergies and asthma, we work in partnership with family physicians, internists, and pediatricians. A staff member will be reaching out to you to confirm your appointment and to give further instructions. Please complete the New Patient Questionnaire available on our website. If you need to cancel, please give 24 hours notice or there will be a fee. She was fantastic - very thorough, analytical, and holistic in her approach, and understanding. She has a fantastic bed side manner, and continued to during a difficult point in my life, dealing with medical conditions. I would definitely refer her to anybody looking for help with their allergies/immunology! Dr professional, knowledgeable, understanding. Staff friendly. Very helpful and informative visit. Never felt rushed or pressured. Dr. Kuryan was very personable and took time to listen and understand the reason for the appointment. The evaluation was very thorough and we feel comfortable that we can call the office with any questions that might arise.